Love Heavenly Hash? Then this one's for you. Rich, dark chocolate enrobes marshmallows and walnuts in this easy-to-make candy. And if you like this, check out a couple of other candies: Christmas Delight, and Dark Chocolate Buttercrunch. Read our blog about this candy, with additional photos, at Flourish. Line an 8" x 8" square or 9" round pan with parchment, and grease the parchment. If you don't have parchment, use waxed paper or plastic wrap. Combine the chocolate, cream, espresso powder, corn syrup, and vanilla in a microwave-safe bowl. Heat the mixture in the microwave (or in a saucepan set over low heat on the stove) till the cream is hot and the chocolate has softened. Remove from the heat, and stir until the chocolate has melted and everything is smooth. Spread about 3/4 cup of the melted chocolate in the bottom of the pan. Space the marshmallow halves atop the chocolate. Note: feel free to substitute mini marshmallows for the marshmallow halves here. Distribute the walnuts evenly in the spaces between the marshmallows. Spread the remaining chocolate atop the marshmallows and walnuts, spreading to the edge of the pan so that everything is covered. Refrigerate for an hour or so, to set the chocolate. Remove from the refrigerator, and loosen the candy from the edges of the pan. 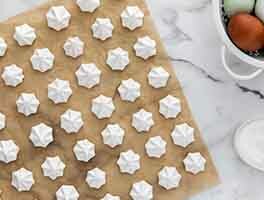 Bring to room temperature, and leave in the pan, covered with plastic, until you're ready to cut into squares. For those who don't like nuts, use 18 marshmallows, halved, placing the halves right next to one another in an 8" x 8" pan. This will make a candy that's just about equal parts marshmallow and chocolate. This candy is stable at cool room temperature, but it's not something we'd recommend shipping to someone in a warm climate; the chocolate will melt. 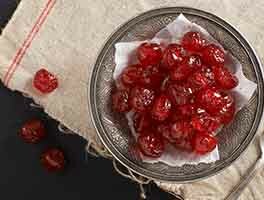 Dried cranberries are a non-traditional, but wonderful addition to this candy. Can you freeze this fudge? If not, how long can it be refrigerated? This is probably the best fudge recipe I have ever made. My son lives in another state and frequently requests one batch for himself and one batch for co-workers (which I put in a pretty box). It is wonderful to have chocolate as the main ingredient and it definitely shines in this fudge. This is so versatile - the "add-ins" possibilities are limitless! Have used white chocolate and peppermint chips, peanut butter chips with peanuts, and toffee bits with pecans, and so far, always with mini-marshmallows. Since I often serve this to others, and nut allergies are more common these days, I sometimes put a few of the "add-ins" on the top. This also gives a pretty effect as well as alerting people as to what is inside. This is one of those recipes that I make so much, I can now do it by memory... Thank you for a great recipe! I made this last year, 2015. It was good, a little gooey. I used mini marshmallows. This year, I decided to make homemade marshmallows, and I used the Mercken's bittersweet chocolate. WOW! The change elevated this candy to a whole new level. If you have the time to make marshmallows, which aren't difficult, you should try them. I had to adjust to my humidity in south Mississippi and make them on a less humid day. The Mercken's is smoother, very decadent. And I did the seeding method for tempering you recommended by heating in the microwave and adding small pieces of chocolate after melting. My 20 year old son keeps sneaking pieces! After reading the recipe (and blog, since I like the pictures and additional suggestions) thoroughly, I gave this a try this morning, since I had all of the ingredients on hand, from other candy making and baking. I haven't tried it yet, but that's because after 6 hours in the fridge, it is still tacky. I followed the instructions *precisely*. Actually, I decided on this recipe, since my currently remaining thermometer is of questionable accuracy, and there was no mention anywhere of finicky temperature ranges required. From the recipe, these are the only instructions on heating. Tips has nothing else either, nor does the blog. "Heat the mixture in the microwave (or in a saucepan set over low heat on the stove) till the cream is hot and the chocolate has softened. 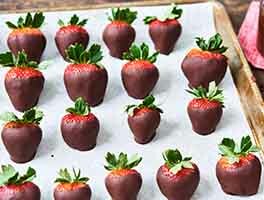 Remove from the heat, and stir until the chocolate has melted and everything is smooth." I honestly found the admonishment to another reviewer (submitted 12/16/15) that they should learn about tempering chocolate to be quite rude, since the recipe mentions no such thing. If tempering is, indeed, the issue, then I sincerely hope you will update your recipe to indicate what temperature we should strive toward. I will probably wrap squares of this in wax paper and mark them clearly as experiments. I need help though. I had mini chocolate chips, but I followed the recipe exactly in measurements. There were a few chips that just didn't melt all the way. But, the candy never set all the way -- it's tacky and 'stretches'. What did I do wrong? However, it tastes wonderful and I will make it again, but I need a hint on how to do this so that the candy (chocolate) sets up. 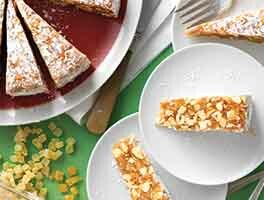 Being allergic to nuts, I sprinkled toasted coconut over the choc/marshmallow layer and it gave a wonderful added crunch to the creamy and chewy fudge! I made this recipe yesterday with my granddaughter. It is indeed very quick and easy and the results are delicious. I think this may be grandpa's new favorite candy. 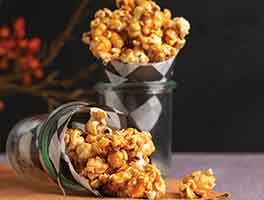 This is a great recipe but I agree with a previous reviewer that the recipe in ounces is wrong. Can you use marshmallow fluff instead of marshmallows? 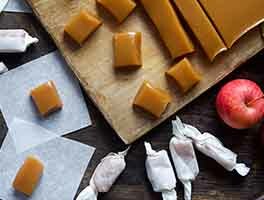 I would prefer to use the fluff like I use in a lot of my fudge recipes? I love this! Thanks for sharing it. It's most sinful of all to my diet. Hahaha. Anyway, i wonder how to make sure it stays solid because the chocolate melted after half an hour served.